BYD, the Chinese carmaker backed by billionaire US investor Warren Buffett, picked a brand name that stands for “Build Your Dreams”, but over the past year many of its dreams have become fantasy. The Shenzhen-based company, which makes conventional and electric vehicles, last year predicted it would sell 800,000 cars. It later scaled down its forecast to 600,000, but missed that target despite breakneck growth in the Chinese auto market. It has repeatedly said exports of its electric cars to the US were on the horizon, but has repeatedly moved that horizon. After rapidly expanding its dealer network to cover some of China’s smallest cities, BYD reversed course. According to the Chinese media, it now plans to fire as many as two-thirds of its 2,600-strong salesforce. Several senior executives have quit and net profit fell 89 per cent in the first half of 2011, compared with the same period last year. Many are now questioning whether the dream is over for BYD – and with it, for China’s electric car industry. 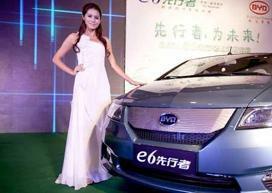 Or can China, led by BYD, still bypass the internal combustion engine and lead the world in alternative fuel vehicles? After starting out in 1995 as a maker of rechargeable batteries, BYD built its first branded conventionally powered car in 2005. Four years later, it had the top-selling conventional compact car in China, and Wang Chuanfu, its founder, was predicting that BYD would be the world’s biggest car company by the middle of the next decade. BYD did not respond to requests for comment. Zhang Junyi, automotive consultant at Roland Berger in Shanghai, says BYD expanded its dealer network by more than 2,000 dealers – including some previously involved in different businesses who had never sold cars before – “without detailed analysis of the market”. “When you have problems with dealers, you definitely have problems yourself,” says Mr Berger. All of BYD’s problems so far involve the company’s conventional cars powered by internal combustion engines – a century-old business to which BYD is a newcomer. Sales of its full electric car to private buyers have only just started, with the E6 rolled out to retail customers in Shenzhen on Wednesday, though some of its F3DM plug-in hybrids have been sold to car rental companies. E6s are already being operated by vehicle fleets in Shenzhen. It was the alternative-fuel side of the business that excited Mr Buffett, and here too there have been problems. Industry insiders who know the company well say BYD has struggled with consistency and quality control, including in its EV batteries. Automotive batteries are much more complex to manufacture and manage than the smaller ones used in phones and laptops. “How do you take a mediocre internal combustion engine product and a mediocre battery product, and even try to make a mediocre electric car, much less a good electric car?” asks one executive of a competing company who knows BYD well. BYD’s problem could be exacerbated by the fact that Beijing is rethinking its previous singular focus on electric vehicles. China had planned to hurdle an entire generation of conventional engine technology to develop what Beijing hoped would be an early advantage over the west in electric vehicles. Now, frustrated with delays to the original timetable, decision-makers in Beijing are leaning toward favouring all technologies that improve fuel efficiency, not just EVs. Nevertheless, auto industry analysts say they may have initially overstated the potential of BYD, but that it would be just as wrong now to exaggerate its problems. “There are a lot things that need to be done to fix BYD, but I don’t think it’s terminal,” says Mr Russo. Another analyst says the company has proved that its management is “not completely incapable”, adding that it just needs a viable long-term strategy and that overall, “the brand is still basically OK”. Dieter Zetsche, chief executive of Daimler which has a technology joint venture with BYD to develop electric cars, recently defended the company, saying reports about its decline were exaggerated. Mr Zetsche told the Frankfurter Rundschau that BYD could neither “walk on water”, as was previously asserted, nor had its managers become “also-rans”, as has been claimed more recently.